One of the best ways you can attract more customers and generate higher profits for a business is with effective signage. Businesses that have a physical storefront can opt for using vinyl banners to help bring in more foot traffic and more revenue. Here are five benefits your business could get from incorporating a vinyl banner in its signage. A reason why you should opt for vinyl material for your banner is because of its weather durability. If you can’t justify the cost of making a new physical sign for your location, a vinyl banner is a great temporary solution that won’t get destroyed by the elements, such as rain, wind, or snow. Another benefit you get from ordering your own vinyl banner is convenience. Companies that have multiple locations, travel to trade shows, and participate in other promotional events around the world can reuse vinyl banners easily. You can quickly take down a banner, fold it up, and store it for later use or for transport to another place. 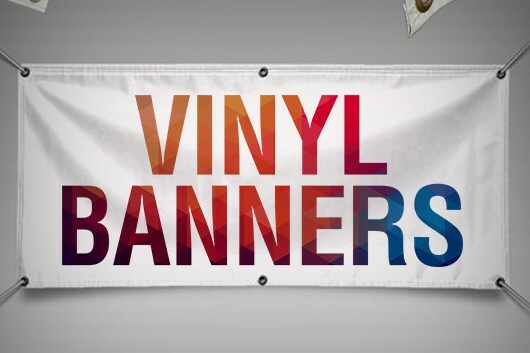 It’s also fairly easy to get the exact, customized look you want with vinyl banner printing. Most printing companies only need your digital file and graphics uploaded to their site to create something that looks incredible. The process for personalizing your own banner is typically fast and simple. For business leaders who don’t have a lot of time to prepare for the next big event, this makes it easier to effectively advertise your brand. A new banner display is also a good way to get attention and bring in more people walking or driving by your store. Pulling in more people is as simple as getting their attention with something eye-catching or unique. A large-print vinyl banner can do the job and help you market your products or services to a new group of potential customers. The last benefit of a vinyl banner is the cost. If you want to get the most out of your sales and revenue, you have to be frugal with your advertising budget. It’s not realistic to change up your permanent outdoor signage every few months, but a new vinyl banner for each season can be ordered at a reasonable cost. Make the most out of your storefront look by creating your own custom vinyl banner for the next big sales event at your company. Draw in curious bystanders and plenty of potential customers by designing a visually-appealing temporary sign for your business.